This is a great thing to do on a day when you do not have enough energy to travel cross-country but want to have a good cultural experience. Come to class hungry. The description for one popular program is below, and there is a link to their website. "Participate in an authentic Ghanaian food cooking class and learn how to create many of the Ghanaian dishes you will taste during your trip to Ghana. 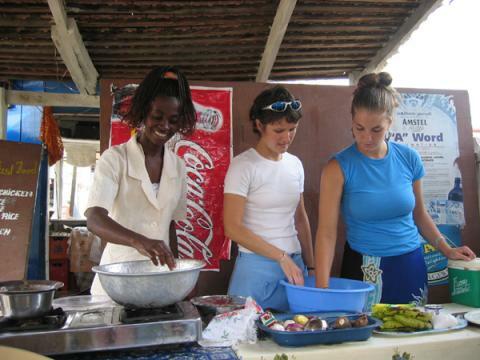 Students learn African cooking techniques and discover local ingredients while creating popular dishes like Red Red, fufu, fried yam balls and palava. After learning the recipes, participants enjoy a feast where the delicious classroom work is consumed. "